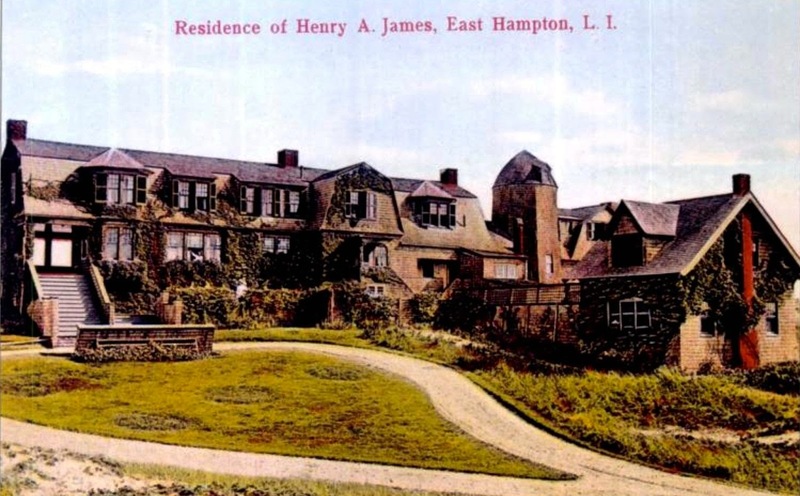 The Henry A. James residence in East Hampton. James, an attorney, was one of the earliest summer residents of East Hampton. He died at the home at the age of 75 in 1929. In 1935 the residence was purchased by Juan Trippe who undertook extensive renovations. Click HERE to see it as it looks today on bing. Very nice then & now. Mr. Trippe's renovations appear to have included: moving the front door, raising the roof to create a full second floor, & adding two chimneys (how many fire places?) & a six-car garage. The house next door looks like someone is trying to create a Flintstone Village. In the picture Zach posted there are two women -- one in the center of the triple window & one below her & to the right, on the patio, wearing a white hat. Looks to me like there is only one woman who is sneaking out the window to run away with the gardener who is waiting below. Ha ha. Anon. "7:59 AM" And a sunset can be seen any time of the day, or night, after drinking half-a-quart of whiskey on an empty stomach! According to an article reflecting on Juan around the time ABC Network was launching the tv series "Pan Am" Trippe & wife Elizabeth bought property in East Hampton in the 1930s. Upon his death in 1981 the property went to his son Charles who sold it in 1987. The purchaser was at the time fashion mogul Calvin and Kelly Klein. It looks rather good today although I'd still prefer the ivy growing on it as it did in the days of old. What IS going on with the property next door? Does anybody know? Haven't found anything yet, but (mercifully), more recent aerial photos seem to show that the dinosaur eggs have been removed & Flintstones Village has closed for good.